We are currently preparing to revive a RPG from our youth: Shadowrun 2.01D. 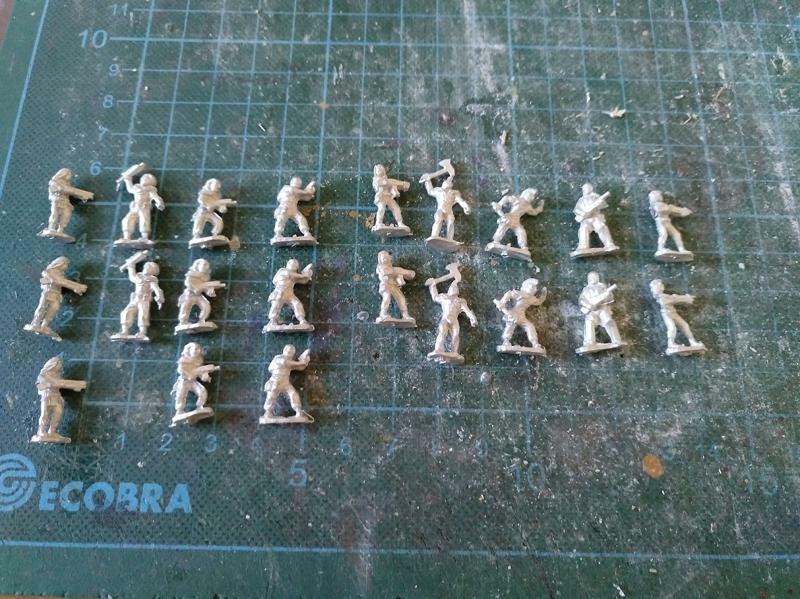 In preparation, I ordered a bunch of 15mm miniatures to use in the skirmishes. 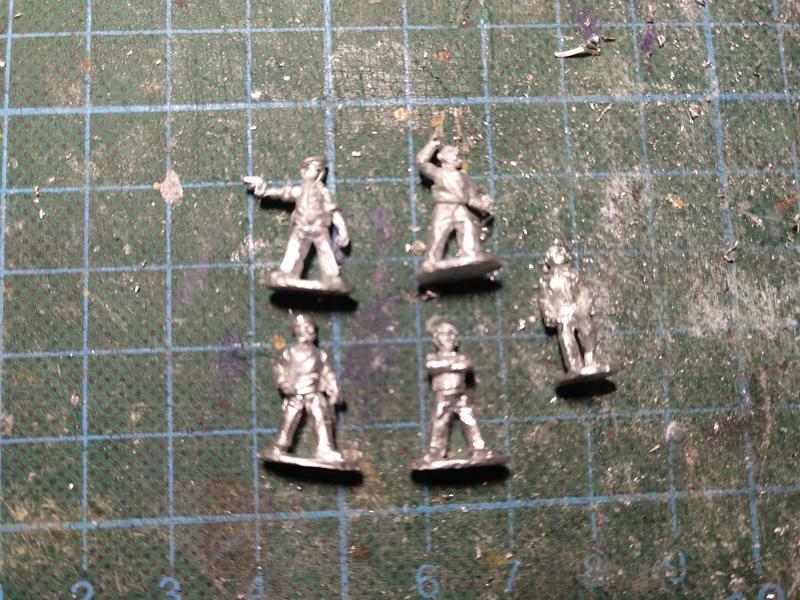 These Street Punks 2 are from Rebel Miniatures. After cleaning them, I mounted them on washers for magnetic storage. 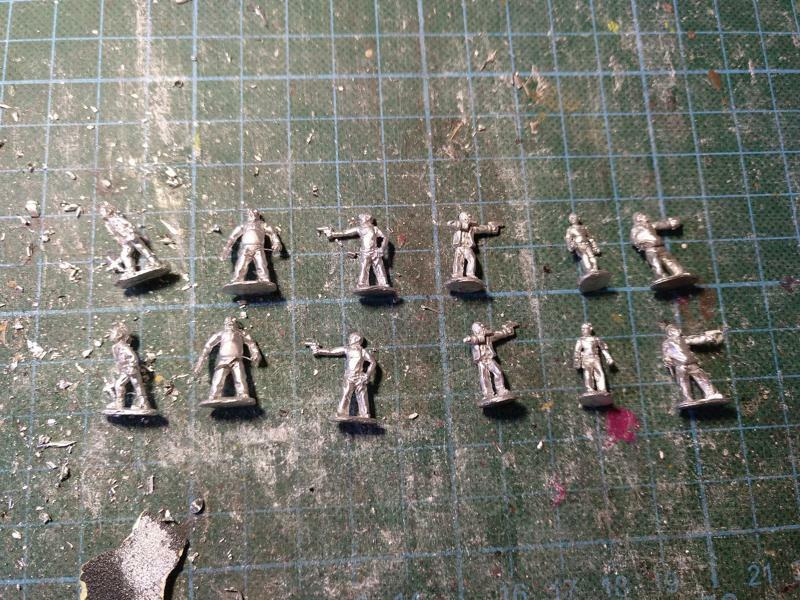 These Post Apoc Survivalists are from Rebel Miniatures. After cleaning them, I mounted them on washers for magnetic storage. 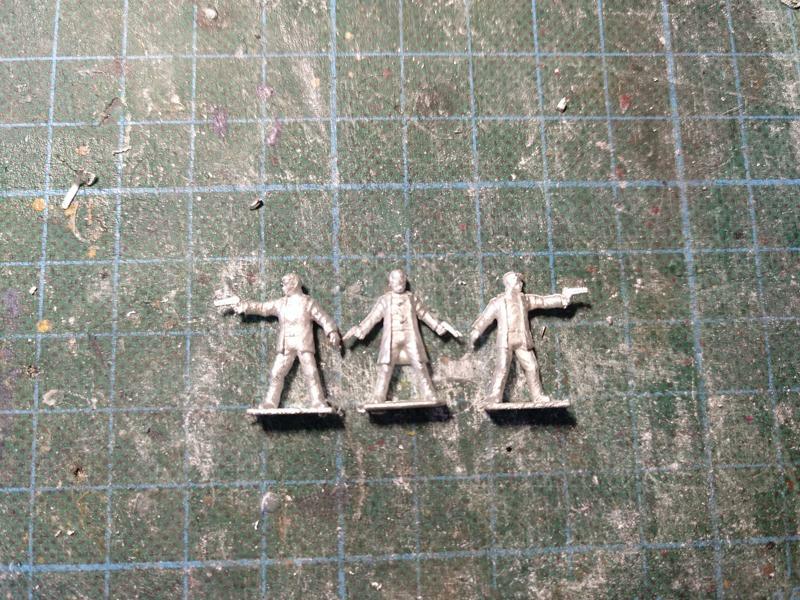 These Street Punks are from Rebel Miniatures. After cleaning them, I mounted them on washers for magnetic storage. 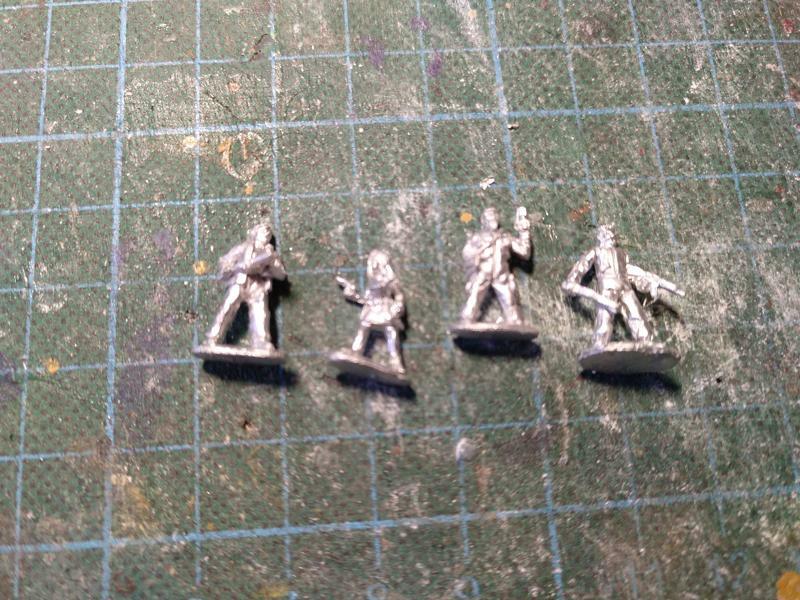 These Pulp Thugs are from Rebel Miniatures. 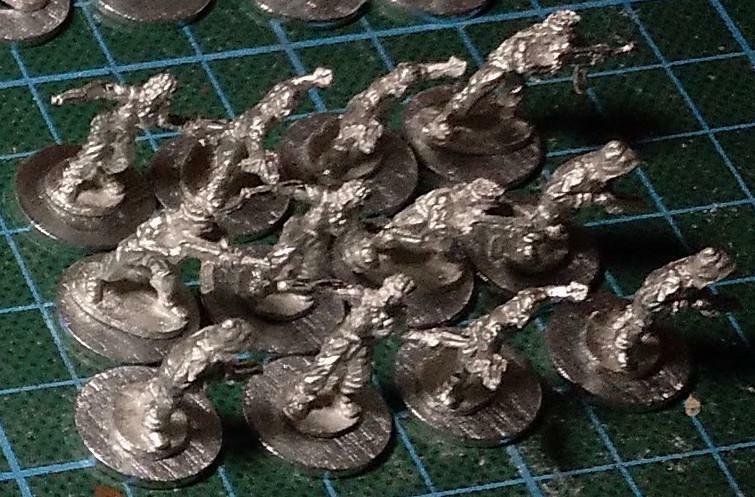 After cleaning them, I mounted them on washers for magnetic storage. 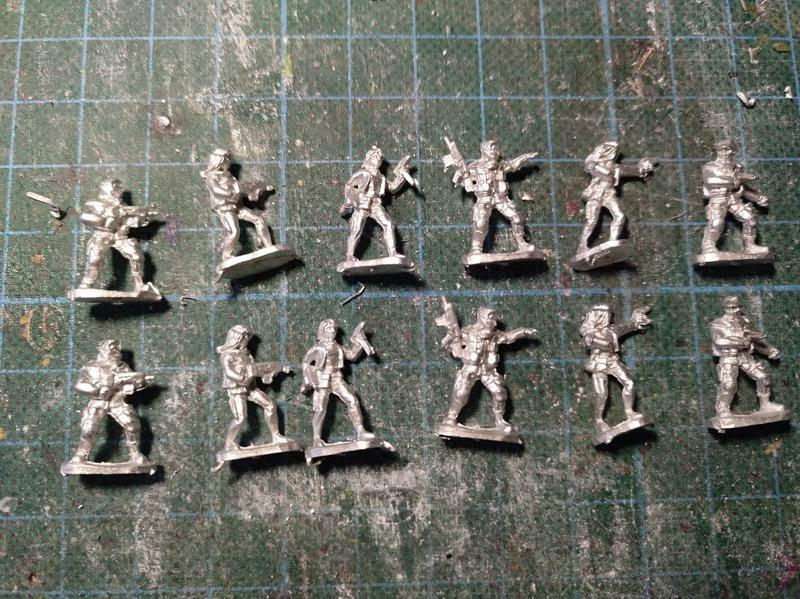 These Post Apoc Survivalists 2 are from Rebel Miniatures. After cleaning them, I mounted them on washers for magnetic storage. 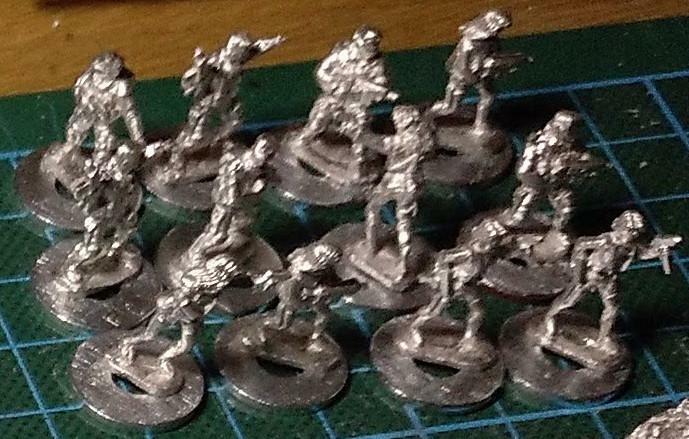 These Post Apoc Raiders are from Rebel Miniatures. After cleaning them, I mounted them on washers for magnetic storage. 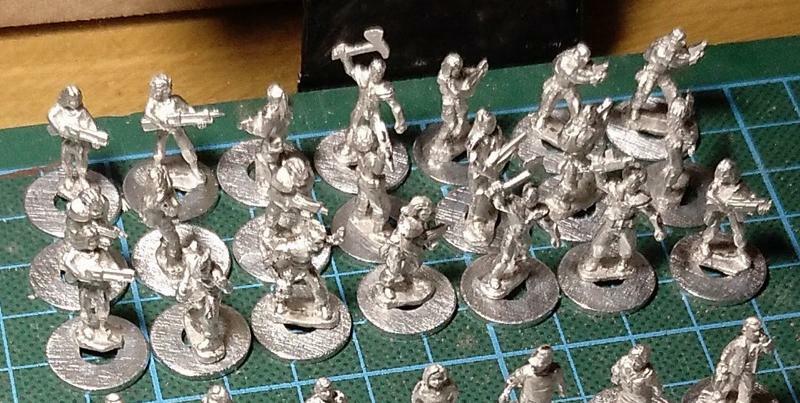 These Post Apoc Gangers are from Rebel Miniatures. After cleaning them, I mounted them on washers for magnetic storage. 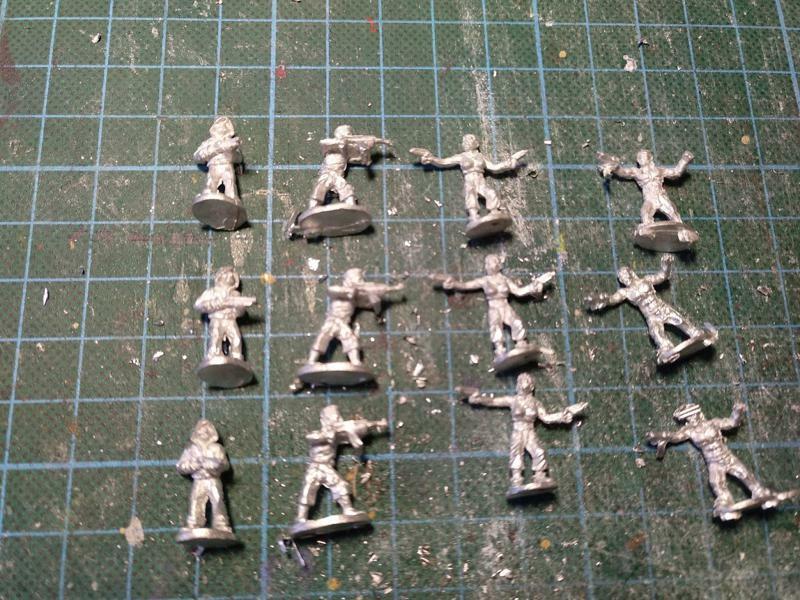 These Modern Civilians are from Rebel Miniatures. After cleaning them, I mounted them on washers for magnetic storage. 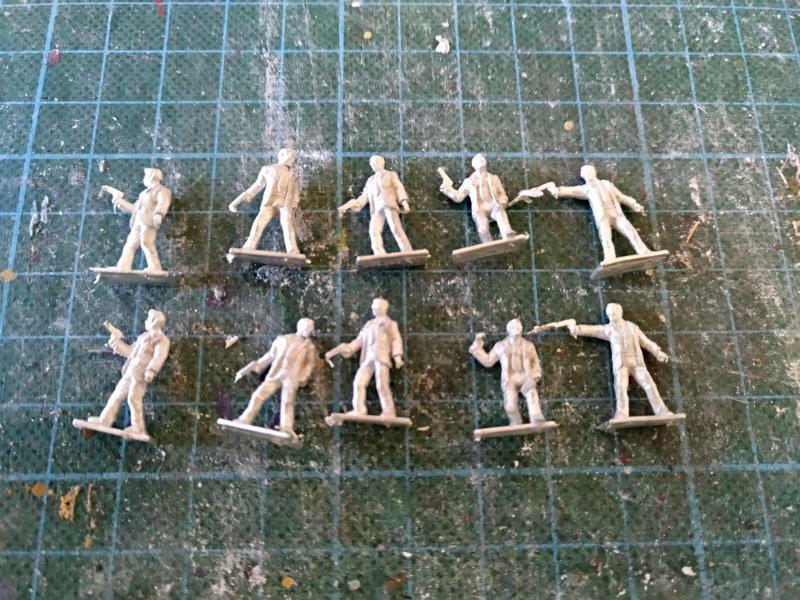 These Men-In Black are from Rebel Miniatures. After cleaning them, I mounted them on washers for magnetic storage. 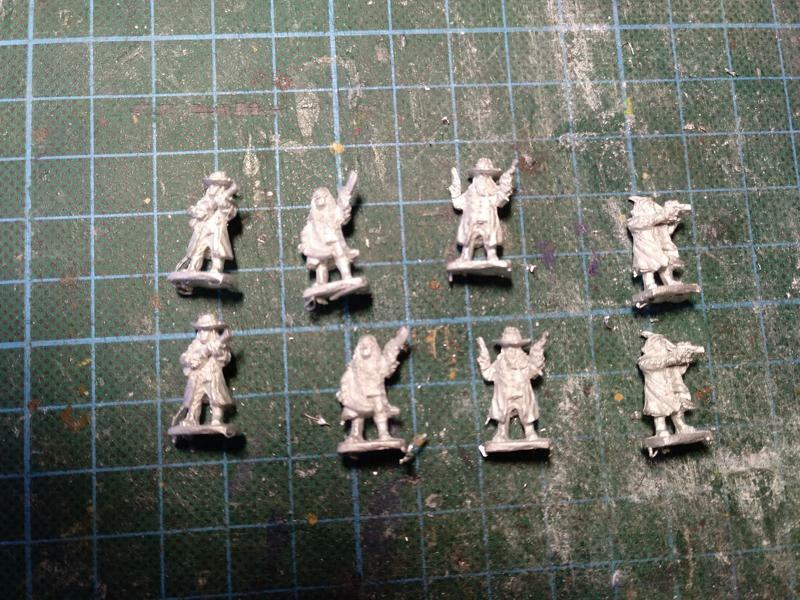 These Irish Hitmen are from Rebel Miniatures. 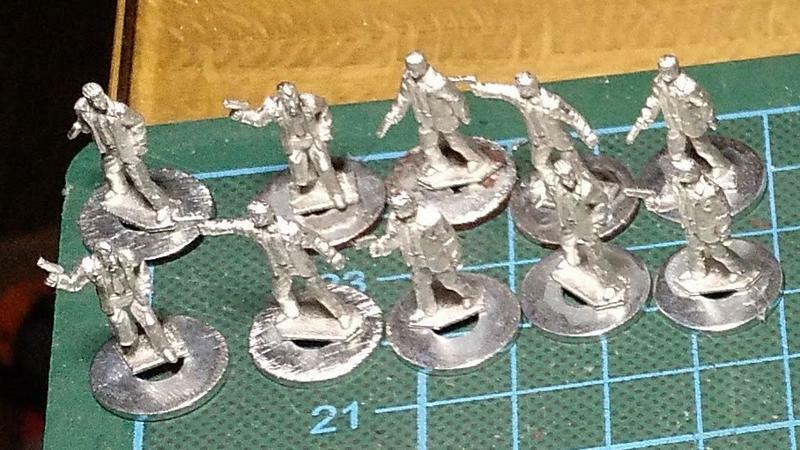 After cleaning them, I mounted them on washers for magnetic storage.